The votes are in and up and down the country local body candidates will be celebrating or commiserating. All should be proud of putting themselves forward for office – for believing they could represent their communities well and make a difference – because standing for election is not an easy thing to do. For those candidates who have been successfully elected, congratulations – the hard work is about to begin! And for those who didn’t make it but plan to run again, your campaign should start now, so your community can get to know who you are and what you stand for. In the end, only 39.5 percent of New Zealand’s eligible voters cast a vote in these local body elections, down from 41.4 percent in 2013. This compares to 77.9 percent who voted in the last General Election. As a result, the soul searching will again begin as to what can be done to increase voter participation. According to Local Government New Zealand, the individual council votes in Saturday’s election ranged from a high turnout of 63.3 percent in the McKenzie district, to a low of 23.3 percent in Matamata-Piako. The highest city council vote was Nelson with 48 percent, the highest provincial council vote was Wanganui with 56 percent, and of the rural councils, both the McKenzie District Council and the Central Otago District Council scored over 60 percent. The trend for fewer people to vote is not confined to New Zealand. It afflicts democracies around the world – even the high profile US Presidential election. Voter turnout in their elections has fluctuated over the years from a high of 65.4 percent in 1908, to a low of 48.9 percent in 1924. As can be expected, voting varies widely in the US states, from 74.5 percent in Minnesota, which had the highest average voter turnout for the last four presidential elections, to the lowest at 50 percent in Hawaii. When there was a strong contest, such as in 2008, when President Obama was first elected, the turnout was higher at 58.2 percent, but fell to 54.8 percent in 2012. While the current Donald Trump versus Hilary Clinton campaign is certainly high profile and extremely controversial, the unpopularity of both candidates is said to be a factor that might keep voters at home! Whether that will be the case will be revealed on November 8. And as far as local authority elections in the US are concerned, like New Zealand, turnout is much lower. In 2001, an average of only 26.6 percent of those eligible US electors voted, dropping to 18.3 percent in 2009, but rising to 25.8 percent in 2013. Of all the proposals to boost voter turnout in US local elections the most compelling research indicates that aligning local body elections with state or federal elections has, by far, the greatest effect. If local elections are shifted to presidential years, voter turnout is expected to increase by more than 18 percent, compared to a 9 point rise if they are aligned with midterm elections. Aligning elections also saves money – the Maryland General Assembly estimates that delaying Baltimore’s next local election by a year in order to line it up with the 2016 presidential election will save the city an estimated $3.7 million. In the UK last year, voter turnout for local elections increased by a massive 78 percent when many English council elections were aligned with the General Election. In those councils, turnout was 64 percent, compared with 36 percent in 2014. For those councils that didn’t align with the General Election and held their election this year, average voter turnout was a dismal 33 percent. The US research and British experience is compelling – it shows that if our Government is genuine about wanting to increase local authority voter turnout (and save money at the same time) then aligning local body elections with the General Election is the solution. By convention, following local authority elections, a Parliamentary Inquiry will be undertaken by the Justice and Electoral Select Committee. Judging by media commentary, declining voter turnout is likely to be at the top of their list of concerns. 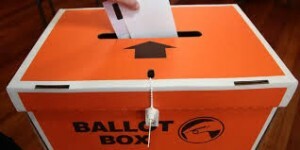 No doubt supporters of electronic voting and advocates of lowering the voting age to 16 will promote these initiatives as ways for New Zealand to raise overall voter participation rates. But they should be aware that the latest 2014 European Parliamentary election showed they are not the panacea they are often claimed to be. In Estonia, a country that moved to electronic voting more than a decade ago, voter turnout dropped from 43.9 percent in 2009, to 36.5 percent in 2014. And in Austria, which lowered the voting age to 16 in 2007, voter participation declined from 45.97 percent in 2009, to 45.39 percent in 2014. Since the best way to increase voter turnout is clearly to schedule local body election to coincide with General Elections, it will be interesting to see whether this will become a recommendation of the Select Committee. The reality is that local politics is of so little interest to most people that they will not go out of their way to vote – even though they already have voting papers and information about the candidates in their possession. They will however vote for local candidates if they happen to be in a polling booth voting in a General Election. So why is it that people don’t vote in local body elections? Local Government New Zealand has listed the main reasons that people give for not voting – 31 percent say they don’t know enough about the candidates, 24 percent say they ‘forgot or left it too late’, 14 percent said they were ‘not interested’, and 14 percent said they were ‘too busy’. There are, of course, many reasons for indifference. Local government is considered by most to be of a lesser consequence than central government, and in some areas, its profile is so low, that residents are simply unaware of the important work it does. In addition, since people who are renting don’t feel the impact of local government as acutely as property owners, then, as home ownership rates decline, an on-going fall in voter turnout is to be expected. Voter disillusionment is also an issue of increasing concern in democracies around the world. But it is important to realise that it is not necessarily permanent. When the issues at stake are pressing enough, disillusioned voters can confound the establishment by turning out in force to vote – as they did in the UK when 72.2 percent of electors voted in the Brexit referendum – 51.9 percent voting to leave the European Union and 48.1 percent to remain. Some commentators have recently been saying that the answer to our falling voter turnout is to follow the lead of Australia and make voting compulsory. While registering to vote in New Zealand is compulsory, voting is not. But in spite of compulsory voting in Australia, the turnout in this year’s federal election was only 91 percent, the lowest since mandatory voting was introduced in 1925. More than 1.4 million Australians failed to vote for the House of Representatives, and 1.2 million for the Senate – the worst voting record since 1922, when only 59 per cent of eligible electors voted. After each election, the Australian Electoral Commission asks those who didn’t vote to provide a sufficient reason or pay a A$20 fine – or the matter may be referred to a court and a fine of up to A$180 imposed. Even with compulsory voting, the turnout for local elections in Australia tends to be lower at 80 to 90 percent, although on those occasions when federal elections were held around the same time as local elections, voter turnout increased – consistent with the US and UK findings. The many opponents of compulsory voting in Australia, say it stifles political freedom and undermines the basic principles of democracy. They explain that forcing people to vote does not translate into an engaged electorate, and many argue that making voting voluntary would encourage Australians to be more involved in the democratic process. They reason that since elected politicians would be beholden to voters, they would need to work harder to give them a good reason to vote. In essence, they believe people should vote because they are inspired to do so, not because they are being forced into it. A fundamental question that also needs to be answered is does it really matter if people don’t vote? Isn’t that their democratic right? In a free democracy, just as important as having the right to vote – or not vote – as the case may be, is having the right to speak out. But it seems that these days, not all New Zealanders are accorded that opportunity – especially when what they have to say is not politically correct and is contrary to establishment thinking. Karl explains, “Two common threads ran through the overwhelmingly disparaging response to Hobson’s Pledge. The first was that Brash’s critics seemed determined to muddy the water with extraneous issues – anything to deflect attention from his core message. None of his critics made a serious attempt to engage with the substance of his arguments. “The other common line running through the anti-Brash invective was that he should shut up and pull his head in because no one’s listening anymore – at least according to the critics. But New Zealanders were listening in 2004 when Brash’s ‘one law for all’ speech to the Orewa Rotary Club triggered such a dramatic resurgence in National’s popularity that Helen Clark’s Labour government came within a whisker of being toppled. Our democratic right to equality before the law has long been championed by the New Zealand Centre for Political Research. In 2012 we launched a Declaration of Equality – now signed by over 50,000 people, see HERE – which states, “We, New Zealanders of all backgrounds, having founded and developed our society in equality, fairness, and comradeship, oppose any laws which establish or promote racial distinction or division. There shall be one law for all”. The Declaration affirms our right to live in a colour blind society, by removing all references to the Treaty of Waitangi from constitutional documents and legislation, by abolishing race-based Parliamentary seats and Local Government seats, and by winding up the Waitangi Tribunal, which has fulfilled its original purpose. Do you believe having local and central government elections on the same day is an idea worth pursuing? The pathetic turn out for local body elections reflects the apathy that is society to-day. Reflecting the welfare state attitude, where personal responsibility has become a thing of the past. Just look at the Brash bashing that is going on at present. How dare he threaten the GRAVY TRAIN that has kept a lazy mixed race minority elite, in luxury for many years now, & looks like it will continue to do so for many years to come. My guess is, the majority of voters at the general election vote for the label because they always have, regardless of the road that their favourite party is taking them. Perhaps we have had things too easy for to long, so nobody cares much any more.. A.G.R.